The changing relationship between the church and its supporters is key to understanding changing religious and social attitudes in Victorian Britain. 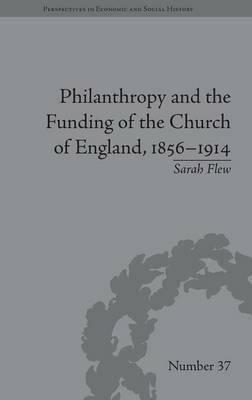 Using the records of the Anglican Church's home-missionary organizations, Flew charts the decline in Christian philanthropy and its connection to the growing secularization of society. Sarah Flew is based at the London School of Economics. Her research methodology is data led, reflecting earlier careers in banking and funding, and has involved the evaluation of 100,000 charitable subscriptions and donations. Her research interests include Church and state in the nineteenth century, the economic history of London, in particular the industries of brewing and banking, philanthropy and the influence of evangelicalism.